Home › Blog › Fall Kick Off! The kick-off celebration Sunday at Sterling UMC has finally arrived and this Sunday, September 9 we will present our new adult and young adult Bible studies, the Deep Blue Kids Sunday School, new sessions for our youth and youth group, and new opportunities to serve. 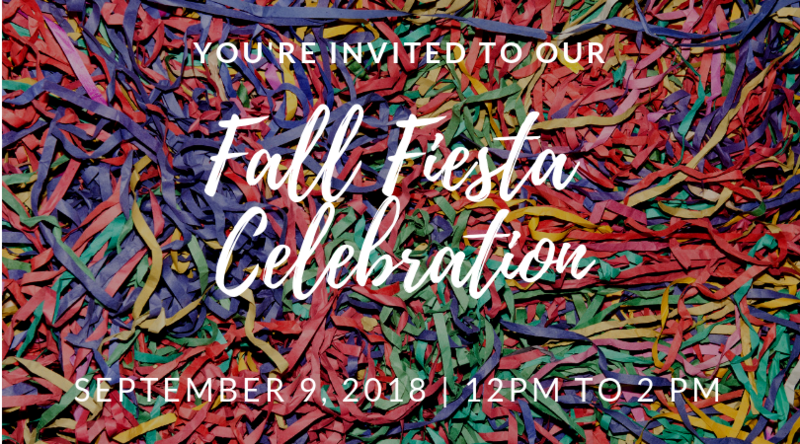 And at noon, we will celebrate with a “Fall Fiesta” that will include lunch provided by a Taco truck as well as covered dish sides, games for the kids, and weather permitting, a moon bounce and a visit by the Sterling Volunteer Fire Department. Pastor Steve will present part two of his new sermon series “The Wilderness, Growing in Faith When Life is Hard” with a sermon titled Entering the Wilderness at 9 AM and at our 11 AM Contemporary Service. Children at the 9 AM service can participate in the Children’s Moment in the sanctuary and then move on to an activity in the fellowship hall prior to Sunday School. At 10 AM in the sanctuary, our Spanish language Amigos Service takes place. Deep Blue Kids Sunday School for children grades K- 5. Confirmation Class for youth grades 6 -7. Growing Deeper at Ten for Teens for youth grades 8-12. Five Love Languages – Adult Small Group. Foundations – Adult Small Group. Grief Workshop – Adult Small Group. Spirit Seekers Adult Sunday School. Coffee and Conversation Fellowship time. SERVE Hands-on activity – 9:50 AM to 10:10 AM (all can participate). This week’s SERVE activity is packing for the Backpack Buddies program. At 11 AM, our Spanish language small group “Bocadillos y Bendiciones” meets. You won’t want to miss this Sunday and plan to stay for lunch and enjoy some of the festivities. And don’t forget our new Wednesday evening fellowship and studies starts this Wednesday, September 12 at 6 PM with a catered meal from Zoe’s Kitchen and small groups starting at 7 PM. Cost for the meal is $12 per person with a maximum $40 per family.